JNTUH B.Pharmacy 4-2 (R09,R07,NR) Sem Regular/Supply Exam Results May 2016, jntu hyderaba 4-2 b.pharmacy results may 2016. 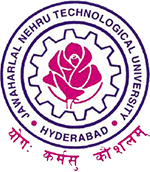 JNTU Hyderabad has announced B.Pharmacy 4-2 (R09,R07,NR) Sem Regular/Supply Exam Results May 2016 on 18 june 2016. Sir…..plz revalute B.pharmacy Pharma cognosy paper Nicely……..so many member fail in this though they written exam very gud……………plz sir decleard result for regulation as soon as possible……….and do justice with us…….